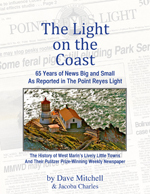 I was very disappointed that there were not more demonstrators to speak up for what has happened to “Our Point Reyes Light” because Plotkin really has made it HIS PAPER. It does not belong to US. I myself, have not touched HIS paper in almost a year; except when I was visiting Dave the week Plotkin wrote the article with a picture of Dave Mitchel in HIS paper, about the mental ward. Plotkin belongs in a mental ward, because of his lack of knowledge of what a Local Newspaper should be, his total disregard of the speeding, and drinking and driving laws. He writes about speeding in West Marin. He wrote and admitted having one too many drinks at The Western and driving home anyways, about a year ago. Drunk Driving is a VERY SERIOUS offense. And this PUNK PLOTKIN continues to have Tunnel Vision that is applied only to HIM, NOT US. He is not a local, and he never will be. He is not paying his Out of Town Interns, and I really do think they too have No Clue, what kind of a community we live in. I was there this morning, and all his staff looked very old to me; not students. I think that another Town Meeting should be called to see if we can figure out how to get rid of this PUNK. I really don’t know how we have let him stay this long. How dare he invite people to come to WEST MARIN, and speed BECAUSE HE DOES — and he admits to drinking on top of it. 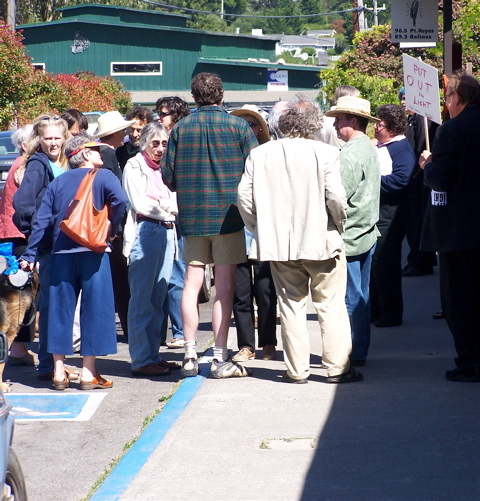 I really wish the owners of All our businesses would hear the people of West Marin, and not carry HIS PAPER. Because, it IS NOT our paper. This would truly shut him down because the visitors are the only ones buying the paper. All the unnecessary stress that he has caused to my friend, Dave Mitchell. And to the Judge, who does not know the difference in a Newspaper & a website, let alone, Sonoma County & West Marin County. Why is Plotkin getting away with everything? I forgot to say that the photo of the girl standing in the reservoir above the [redline-your-car] article in The Coastal Traveler shows that HE DOES NOT HAVE ANY RESPECT FOR WEST MARIN. When Plotkin took the picture, he simply did what he wanted to do. Sparsely Sage and Timely is powered by	WordPress 4.9.10 and delivered to you in 0.326 seconds using 52 queries.